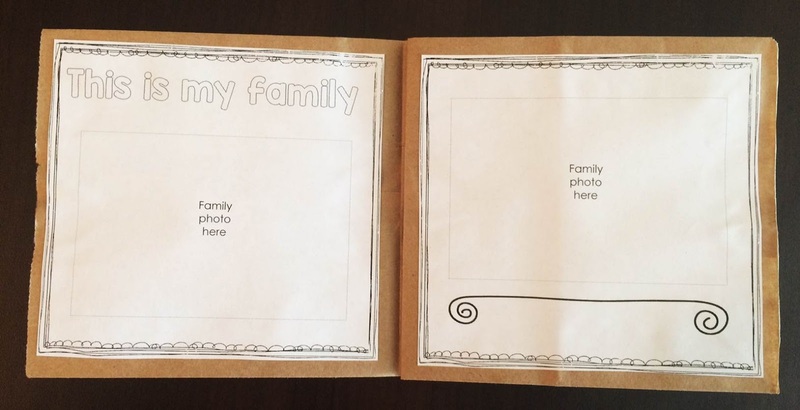 When I was in the classroom, family photos were a huge part of our classroom decor. I wanted my students to be able to share them with each other, and use them to help transition in the morning. I also love that they make the children feel like their families are always a part of the classroom, and are welcome at school anytime. 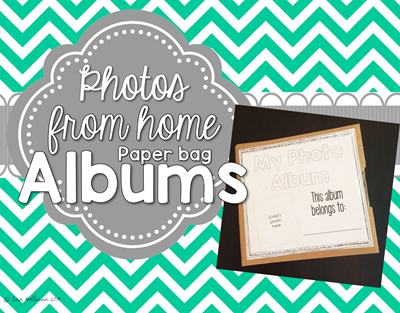 This is an easy (and economical) photo album project that you can send home at the beginning of the year. Each family can help their child put the album together and then you can do a special show and tell so that the children can share them with each other before storing them in a place where they will be readily available. Cut the bottom of each paper bag out, then place the paper bags on top of each other and fold in half. Cut out each page of the album printable and secure it to a page in the paper bag album (or cut out each page and families can secure them to the album pages). 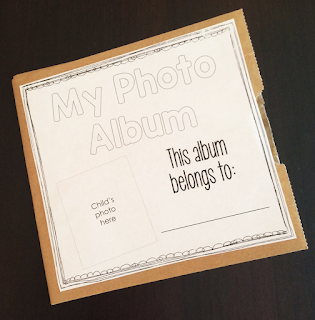 Place the album in the ziplock bag with the instruction sheet and a glue stick. Send the bag home with the children to complete and bring back (make sure to write a due date on the blank on the instruction sheet). 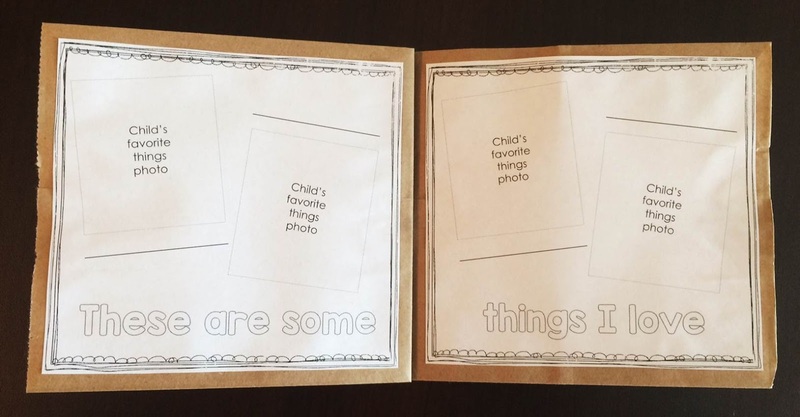 I always make one with my own pictures and share it with the children before sending the project home. This helps get them excited about completing their own. 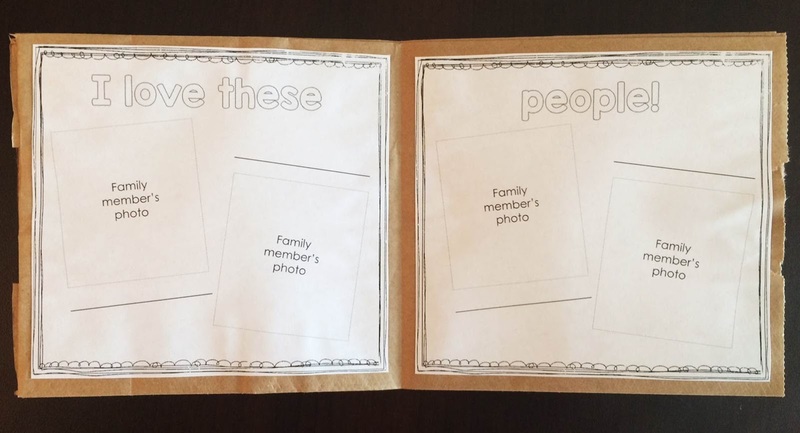 For other ideas on how to use family photos in the classroom check out my Preschool Social Emotional pin board.